Many movies simply slip under the radar and here is one example. 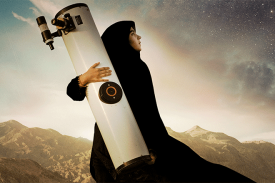 Sepideh - Reaching for the Stars is a fascinating documentary film that looks at the life of an Iranian teenager, who is obsessed with astronomy and wants to be an astronaut. The film is directed by Berit Madsen. When she first heard of an astronomy society in a small town in southern Iran, she wanted to document these amateur astronomers. However, she ended up focusing on Sepideh - as she turned out to be a fascinating person. I also chatted with the director about a year ago, but did not get a chance to post the interview. I hope to do that in the coming week. I will be introducing this film at Amherst Cinema tomorrow (Tuesday) night as part of their Science on Screen series. And after the screening, we will have telescopes for viewing Jupiter, the Moon, and Orion nebula right outside the theater - courtesy of Amherst Area Amateur Astronomers Association. If you are in the area, please join us there. Also, here is my chat with Monte Belmonte for WRSI 93.9 about the movie. SEPIDEH - REACHING FOR THE STARS follows an Iranian teenage girl, named Sepideh Hooshyar, living in a small town 400 miles south of Tehran. She is obsessed with astronomy and becomes an active member of a local astronomy club led by her physics teacher. But her real passion is to become an astronaut, following in the footsteps of her idol, Persian-American astronaut, Anousheh Ansari. 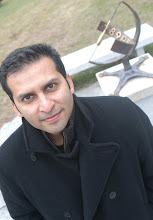 The documentary provides a unique and complex look into Iranian society, gender expectations, and our shared passion for understanding the universe. This film provides a welcome respite from the prevalent political rhetoric about Iran in the news and gives us a slice of Iranian life in a small town.